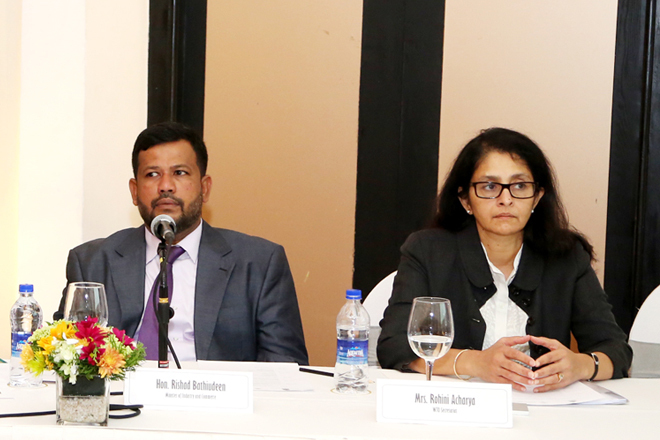 No less than two thirds of annual imports to Sri Lanka will enter the country duty free when the FTAs with China and Singapore are wrapped up, said a visiting top official from WTO in Colombo today 10 October. The two day workshop by the Department of Commerce concludes on 11 October and includes top officials and participants from the Central Bank, the Treasury, BoI, reps from five Chambers and Lankan corporates in exports. WTO’s Acharya has a PhD in Economics and joined the WTO’s Trade Policies Review Division in 1996, becoming Chief of its Regional Trade Agreements Section in January 2007. Previously she worked as Senior Research Fellow at the International Economics Programme of the Royal Institute of International Affairs (Chatham House) in London. Ms Jo- Ann Crwford (MA in Economics) is the author of a number of studies on RTAs and has also worked on several trade policy reviews, including that of the Southern African Customs Union (SACU).